Shellie from "The FABulous JOURNEY"
"The Farmhouse in the Field" Congratulations! This fantastic blog is so much fun & full of delicious recipes and amazing tips! This is how they describe their blog: "I live in a 1867 Gothic Style Farmhouse next to the Erie Canal in western NY. I believe in living creatively and that style has nothing to do with money. 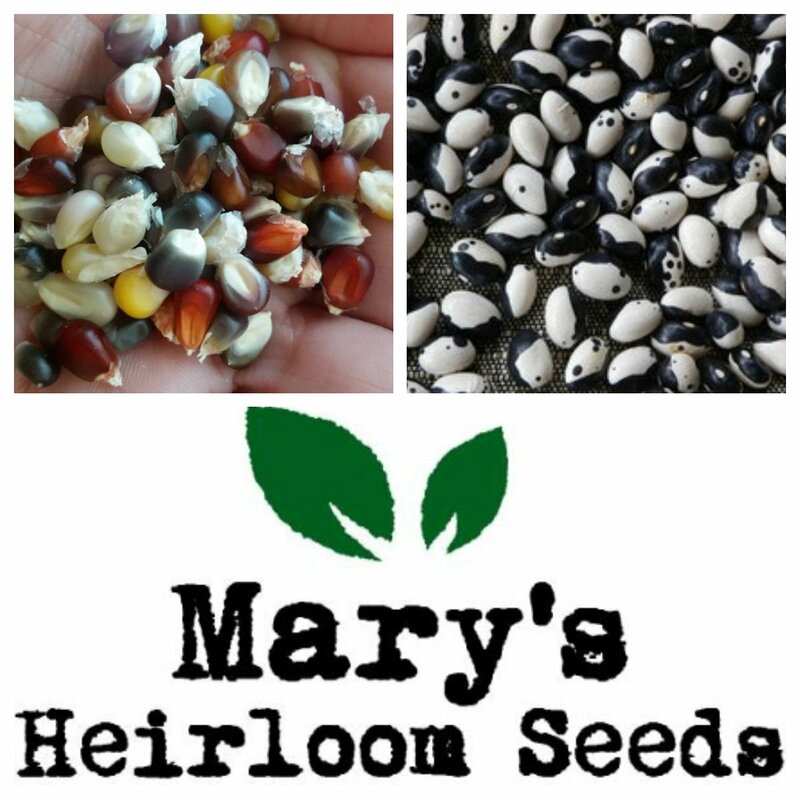 I'd like ot think I channel the spirit of Laura Ingalls Wilder living life with a sense of self-sufficiency. I love vintage cookware, the Andrew Sisters, crafting and living stylishly frugal." 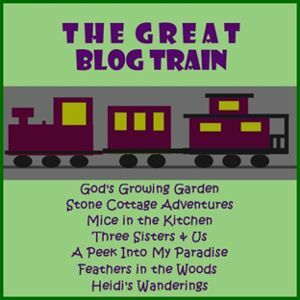 I followed all hosts on google+ except Stone Cottage Adventures who I followed on Bloglovin. I followed our cohost, Shellie on Instagram. Thanks for hosting a great party!! Found some great things here. Thanks so much & I'm following you back on Pinterest also! Thanks for featuring me! 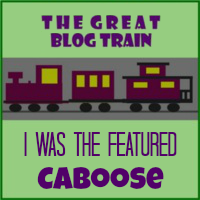 I'll proudly display the caboose on my blog!